Visually reinforce key early learning skills with this Shapes Early Learning Poster. 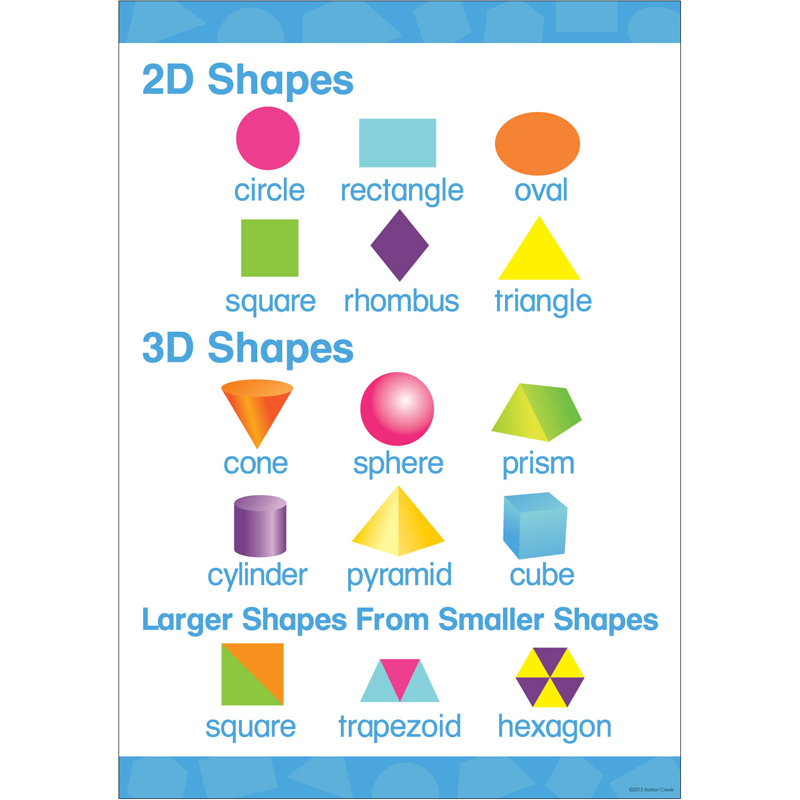 Children will learn to identify and name two-dimensional and three-dimensional shapes. A large 17 x 22" size makes it easy to see accross the room. Fill your space with learning using all the coordinating Early Learning Posters by Barker Creek.